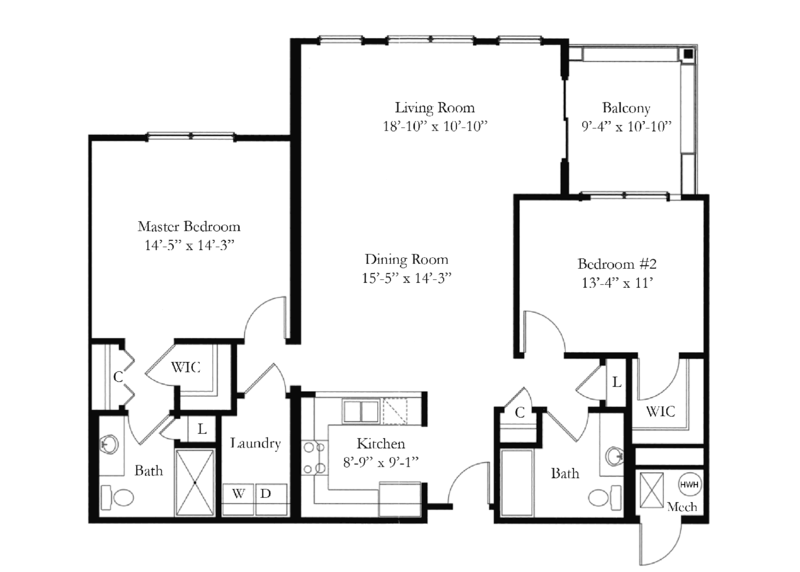 The Nassau is our most expansive two-bedroom design. A foyer-like entry gives way to the attached kitchen and great room, ideal for apartment-style entertaining with an elegant living and dining space. The perfect setting for a formal interior arrangement at 1,354 square feet, this design offers ample storage space and a deluxe balcony. We invite you to check out the view from The Nassau.